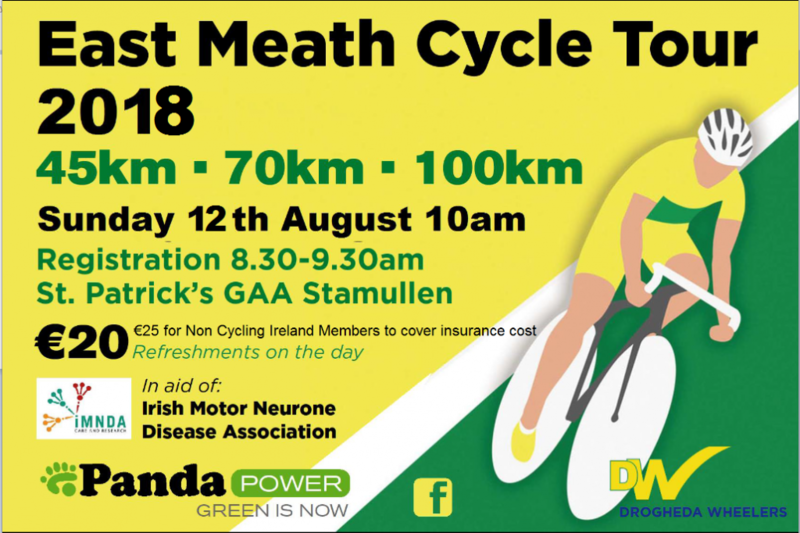 The East Meath Cycle Tour is back! This is a cycling sportive catering for all levels through the beautiful Boyne Valley. 3 routes to choose from 45km for beginners, 70km and the 100km Challenge. Refreshments on route and after, Parking and Showers on Site. All proceeds go to the Irish Motor Neurone Disease Association. Cycling Ireland approved – Fee €20 and €25 Non Cycling Ireland members (to cover insurance).